The long-touted and highly anticipated sequel to 2010's Red Dead Redemption has finally been confirmed by developer Rockstar Games. The long-touted and highly anticipated sequel to 2010’s Red Dead Redemption has finally been confirmed by developer Rockstar Games. Red Dead Redemption 2 is now official, and it will once again take us to the Wild West, seeing the return of Rockstar’s iconic action-packed, open-world gameplay. It’s been six years since the release of the first Redemption entry, which of course was a kind-of continuation of the original game, Red Dead Revolver, from 2004. Redemption was a critical and commercial success, and eventually saw support on Xbox One’s backwards compatibility service earlier this year. Many assumed it was a hint from Rockstar that a new Red Dead was on the way, or perhaps a remake/remaster of Redemption. Thankfully, it’s a new game, and hopefully it’s just as good if not better than the original. Rockstar says the game is slated for a Fall 2017 release date. For Australia, that’s Spring 2017, so a year from now. Whether or not the game actually hits that release date is another matter: Rockstar is not one to hit its initial release windows, so be prepared for a delay into 2018. There are murmurs that Red Dead Redemption 2 will be set to the “east” of the original game. The first entry was set around virtual interpretations of California, Mexico (called Nuevo Paraíso), and spread towards the east coast. Keeping with its Wild West setting, it appears likely to offer a similar setting, but of course much bigger than what the original game world was. The game is also expected to be a prequel. 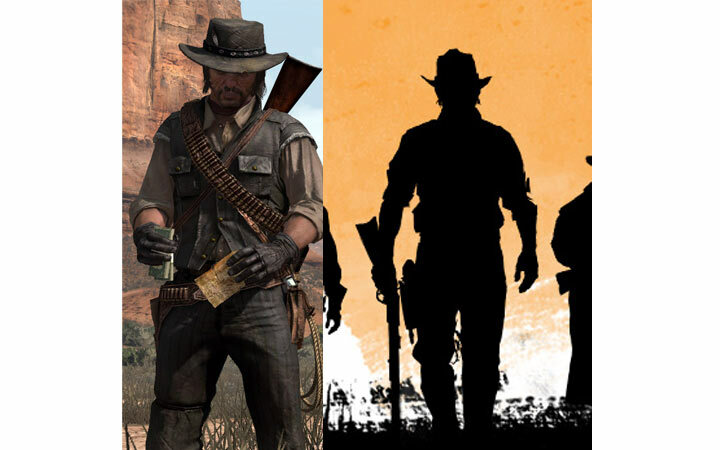 The image posted yesterday of seven characters walking into the sunset appears to feature John Marston, who was the protagonist of the first game. Considering his unfortunate demise in that game, it’s clear that if he were to be in Red Dead Redemption 2, the game would need to be a prequel (I’m not sure that Rockstar is all for the soap opera “return from the dead” storylines). 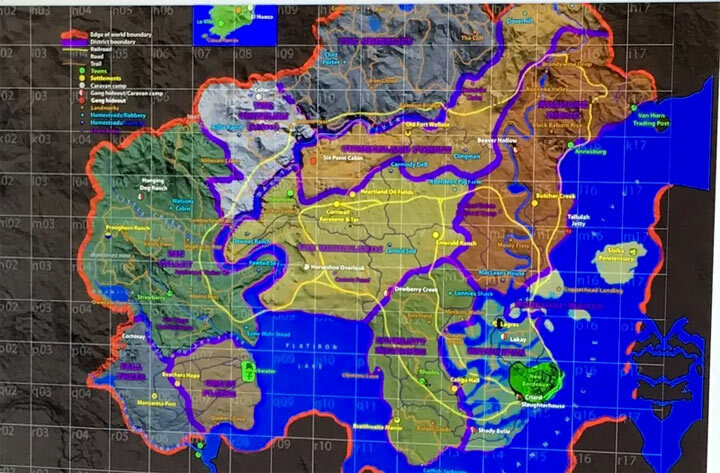 There’s also a map that was leaked on NeoGAF a while back (confirmed by Tech Radar), that appeared to feature parts of the original game’s map, as well as new locations. The most interesting thing about the map was that it didn’t have a railroad, which once again points to it being set before the original game. Strangely, the map features a city called “New Bordeaux”, which was the city featured in the recently-released Mafia 3. 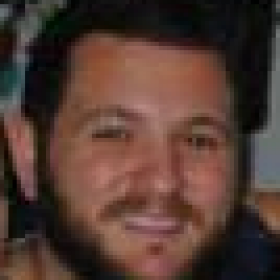 That game was published by 2K Games, which is, like Rockstar, a subsidiary of Take-Two. If New Bordeaux were to appear in the game, it points to it being set north-east of the original setting, which is what has been rumoured. Stay tuned for more Red Dead Redemption 2 updates!